This level is typically elevated when active damage has occurred or the liver is irritated. Generally the level needs to be three times the high normal rate to show significant liver damage. This is a serum protein. When it shows decreased levels it can indicate starvation, parasites, chronic liver disease, enteritis or glomerulonephritis, blood loss, pancreatitis or long-term feeding of food that contains poor protein ingredients. Increased levels can be the result of fever or dehydration. Elevated levels can indicate liver issues or bone problems. Elevated AP is normal in puppies due to bone growth. The level can in increased with hypothyroidism, pancreatitis, Cushing’s disease, liver issues, and reactions to non-steroidal anti-inflammatory drugs. This is an enzyme released by the pancreas. Elevated levels can indicate pancreatitis or renal damage. This can indicate toxins that affect the liver, such as harsh medications like immiticide used in heartworm treatment, or cancer in the liver. Sometimes injectable medications or vaccinations can cause a temporary rise. This is a yellow serum that is comprised of dead red blood cells which is normal because cells die periodically. However, it can rise suddenly in the case of certain liver diseases, a reaction to toxins such as aflatoxin, or from leptospirosis or toxoplasmosis. Increased BUN (high levels of nitrogen waste products) can occur with renal damage, dehydration (even from panting, anxious behavior, vomiting and/or diarrhea), Addison’s disease or leptospirosis. BUN levels can go up and down, without causing kidney damage. Decreased or increased calcium is not an indication of dog needing more or less calcium in the diet. 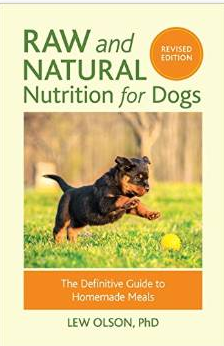 It is more a metabolic measure of how your dog’s system is using calcium. 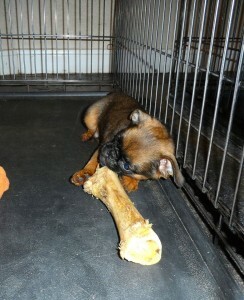 Calcium levels can be higher in puppies, especially large boned puppies during the growth stage. However, high calcium levels in adult dogs can indicate lymphosarcoma or chronic renal disease. It may be elevated in dogs with Addison’s disease, rare fungal diseases in the bone, or bone infections. Dogs do not develop hardening of the arteries, or get plaque in their arteries as humans due. However, elevated levels of cholesterol may signal hypothyroidism, diabetes, Cushing’s disease, pancreatitis, and steroid use. If levels are increased, it can mean muscle inflammation; however levels can be elevated right after a vaccination or needle stick. This is a waste product produced by the kidneys. When this level is elevated, it shows kidney damage. This is another liver enzyme like Alkaline Phosphatase (AP), but not found in bone. It can also indicate excess cortisol which can point to Cushing’s disease. Phenobarbital and steroids can also increase GGT. Decreased values may mean Cushing’s disease, inflammatory bowel disease, intestinal lymphangiectasis, malabsorption or protein losing enteropathy. Increased levels may mean tick borne disease, brucellosis, heartworm disease, hepatitis or lymphosarcoma. Increased glucose can indicate Diabetes mellitus or hyperglycemia. Morphine and steroids can increase glucose levels and these can be elevated during pregnancy or right after a heat cycle. Hemoglobin carries oxygen formed in the bone marrow. Low values can mean tick borne disease, hypothyroidism or heartworm disease. Increased values can indicate diabetes, urinary obstruction or vitamin D toxicity. This is a pancreatic enzyme. This level can increase due to upper intestinal inflammation. Pancreatitis can cause increased levels of lipase and so can renal disease. Steroid use can also cause increased lipase levels and cause pancreatitis. The most common cause of increased phosphorus is renal disease. As the kidneys become damaged they become unable to process phosphorus. Please note that puppies generally have a higher phosphorus reading than adults! Dogs with Addison’s disease can show a high potassium level. Dogs that have been vomiting and experiencing diarrhea may have low potassium levels, as well as dogs that have diabetes or have recently had IV fluids. Increased total protein could be dehydration, inflammation or infection. Low total protein levels could be caused by parasites, IBD, malabsorption, or liver or kidney disease. Low values can mean tick borne disease, Heinz body anemia, iron deficiency, leptospirosis or renal failure. Increased values may indicate dehydration, diabetes, Addison’s disease or urinary obstruction. Again, diarrhea and vomiting can cause low sodium levels and so can dehydration. Addison’s disease can present with low sodium, while the other adrenal disorder, Cushing’s disease, can present with high sodium. This is a lipid (fat) in the bloodstream. These levels can be elevated after a meal or may indicate Diabetes, Hypothyroidism, Cushing’s disease or too much steroid use. Low values can mean tick borne disease, hepatitis or pancreatitis. Increased values can mean Cushing’s disease, leptospirosis or other infection. Always ask your veterinarian to explain any increased or decreased blood work your dog may present and what the levels mean exactly for your dog. There are many more blood chemistry tests than what I have listed here, but these are the most common. I wish a wonderful fall season to all!